Ah, the gun control minions strike again! This time, with their brilliant new Smart Guns. Before we start talking about this foolish piece of technology, at first glance, this Smart Gun looks like a toy for children, it looks a fake gun. Funny, since the left spends their time banning plastic guns in Chicago for “safety of the children.” (https://www.google.com/amp/amp.dailycaller.com/2016/10/16/chicago-gets-serious-about-sky-high-murder-rate-by-banning-western-cowgirl-playset-other-toys/?client=safari) This gun uses the same fingerprint technology as your iPhone home button does. Right, because how often does your iPhone fingerprint reader fail you? 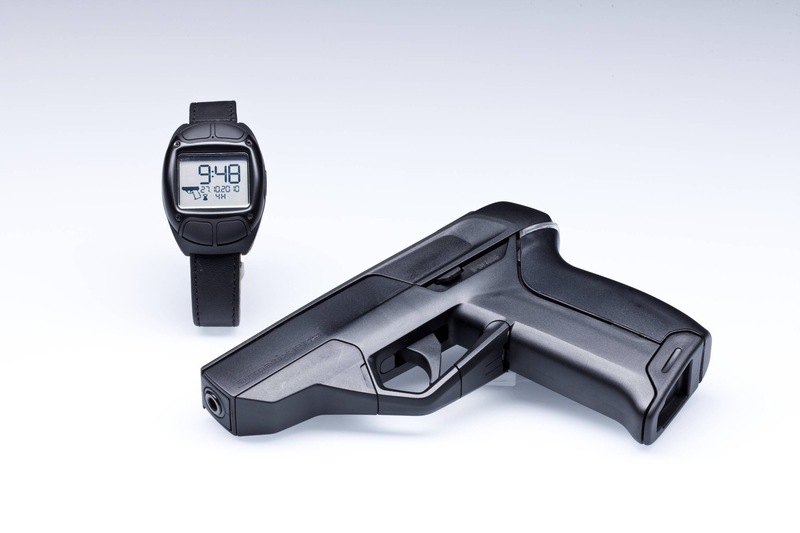 The trigger is only fireable once the gun has been successfully paired with another device (usually a smartwatch-you have to be wearing it at all times) which can take up to fifteen minutes. The New York Times posted an article discussing said guns, and what they might do for the future of gun safety. Which is a big fat nothing. Having to wait for your gun to be paired with your smartphone while an attacker has entered your home, is not ideal for “gun safety.” The NYT says “How many lives might be saved if guns were equipped with fingerprint scanners, radio frequency chips or other evolving technology that blocks anyone but the owner from using them?” (http://www.nytimes.com/2016/11/26/opinion/sunday/why-not-smart-guns-in-this-high-tech-era.html) Well, this isn’t a James Bond film, and most people don’t want to wait for their fingerprint to be read before firing a gun when standing in the face of an attacker. The NYT gives an example from when back in 2000, a shotgun would not fire unless the handler was wearing a radio frequency ring. 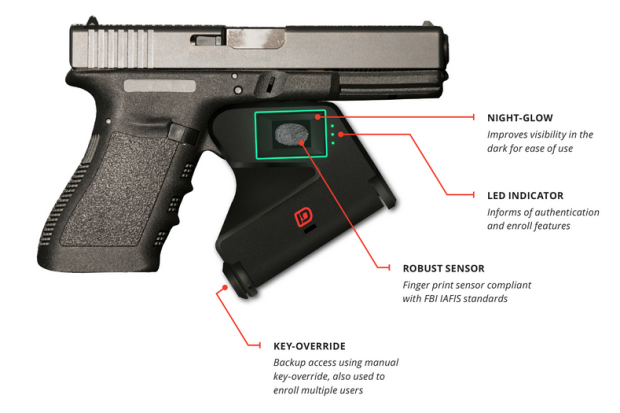 (http://www.nytimes.com/2016/11/26/opinion/sunday/why-not-smart-guns-in-this-high-tech-era.html) Neat, but what happens when the radio frequency ring fails? Or when you forget to put on your fun little ring? If I’m about to be murdered I would rather not have to worry about a ring, or whether or not my gun is going to pair quickly. I want the assailant out of my house, albeit dead or alive. If Smart Guns become mandate, this would be reversed and you would be the one who ended up dead because your finger was slightly damp, ergo not being able to properly pull the Smart Gun trigger. We all know the left likes to think that criminals are the same thing as law abiding citizens, however educated people know this is false. Criminals do not care about laws, if someone breaks into your house, do you really think that they are going to stand there and wait for you to shoot them first because you have to wait ten minutes before your gun actually works? Of course not. That is a split second life or possible death decision, which cannot be put in the hands of a Smart Gun, or as I like to call them Dumb Guns. Obama has said “If a child can’t open a bottle of aspirin, we should make sure that they can’t pull a trigger on a gun,” (http://www.nytimes.com/2016/11/26/opinion/sunday/why-not-smart-guns-in-this-high-tech-era.html) while that statement has some truth behind it, if a parent has their guns lying around the house unprotected or some place a kid could reach it, they are one of two things. One, they are irresponsible parents who leave guns splayed throughout the house unaccounted for which means they also have not taught their child about the safety of guns. Or, they are prohibited possessors, which would make them criminals anyways. I’m going with the latter. The article ends with The NYT saying that while the NRA thinks that our President-elect will turn out the lights on Smart Guns, Trump should rather be sold on the idea of Smart Guns. Really people? “…imagine the lives that could be saved”. (http://www.nytimes.com/2016/11/26/opinion/sunday/why-not-smart-guns-in-this-high-tech-era.html) Again, criminals do not care about your life, and I can guarantee you if someone breaks in with the intent on killing or robbing you, they sure are not going to stand by while you wait for your gun to pair with your device before they can shoot you. I don’t know about you, but I most certainly do not want my life to be placed in the hands of a capricious fingerprint reader. Smart Guns are not gunSense, they are gunDense.